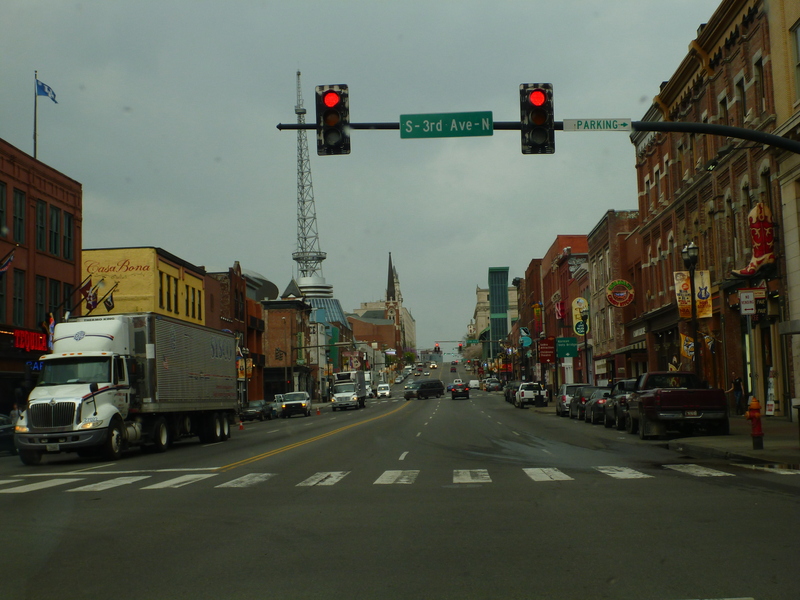 I drove through downtown Nashville, and I almost stopped for lunch on the busy street of Broadway. It’s tough when I’m by myself trying to decide what to do. If I were in a group, the country bar-b-que restaurants and live music on Broadway would have been a fun stop, but being by myself.. it just looked expensive. Parking would have been $15 for the afternoon. Broadway, Nashville. Just to give you a visual. 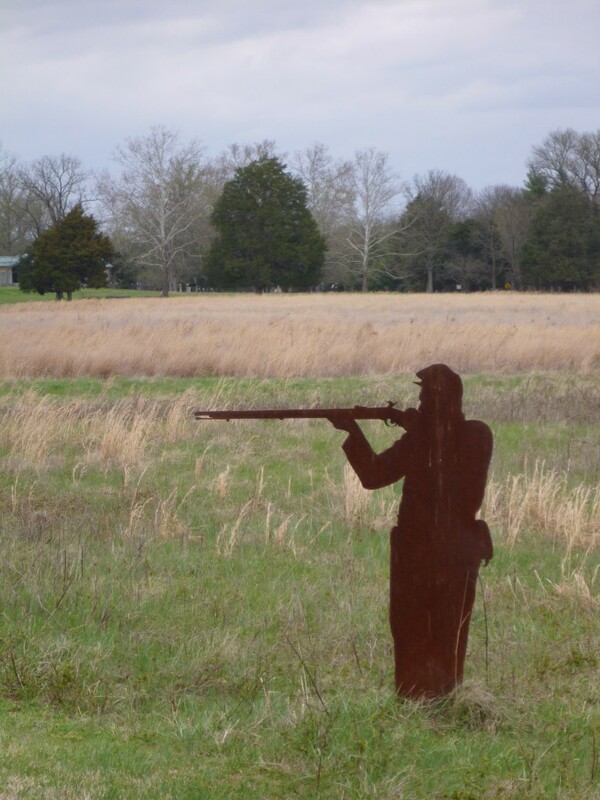 Instead I drove out of town to a national battlefield site from the Civil War called Stones River (site / wiki). I’d never heard of it before that morning, but it was free and I could get another stamp for my notebook out of it. These steel silhouettes were positioned to give the visitor an idea how the battle lines were laid out. I never know exactly how I should feel or act at war memorials. How long I should pause at each placard. What to take pictures of. How slow to walk. What to say to other visitors. I’m guessing that’s how most other people feel too. Towards the end of my time at Stones River I concluded it’s enough to just be there, physically and mentally. There is no correct way to feel when you’re thinking about the crappy situation these people were in. Especially for how complex the nature of the Civil War was too. We hate to hear about the massive loss of life, but it’s not just the numbers, obviously, it’s the idea that every single one of those tombstones has a story, a specific chain of events which led to that persons death. 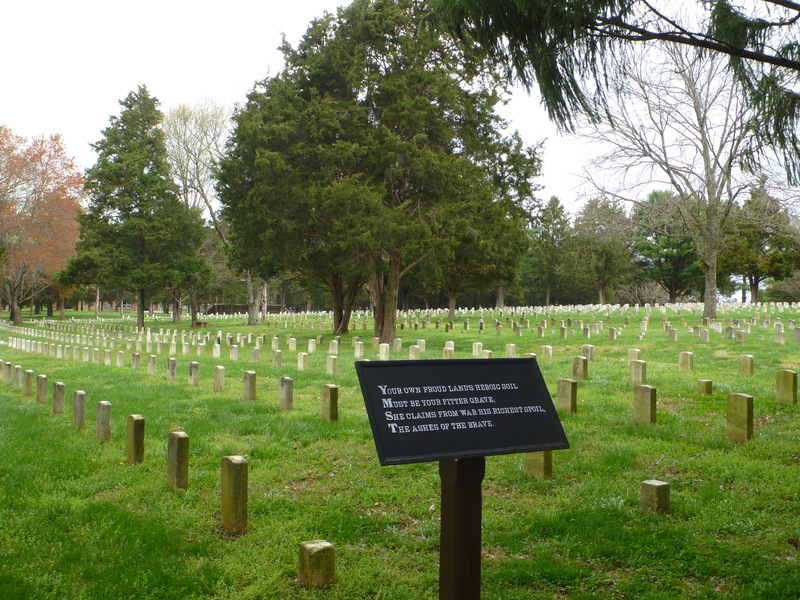 As tombstones, they all look uniform, falling into orderly and dignified lines, but I am certain for many – if not all – of those who died, it was the most confusing, panicked, terrifying, rageful, and hopeless time of their lives. I took a nap on a bench in the cemetery – facing upwards. Looking back, I’m sure there are people who could be offended by that. Oh well, it’s not really the opinion of anyone living I wanted to do right by anyways. 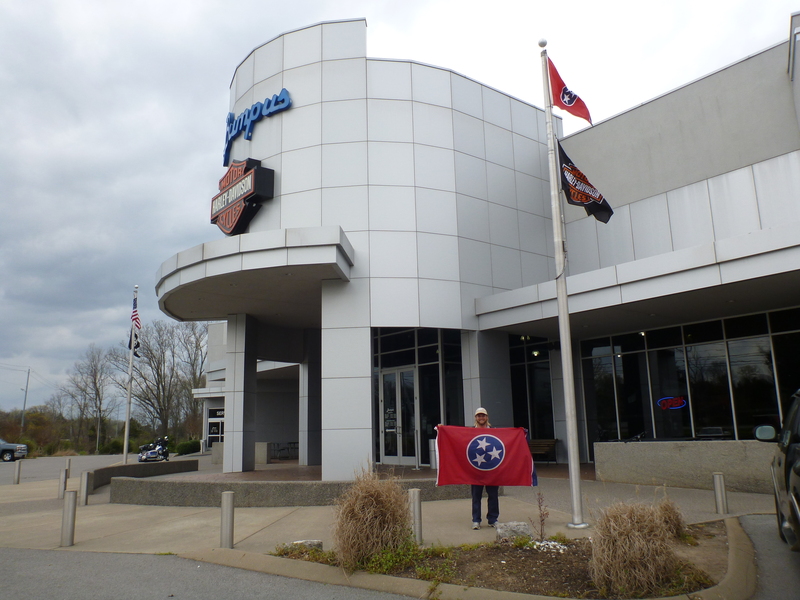 Flag swap from the Harley Motorcycle dealership across from Stones River.